Kicking the tobacco habit is indeed a difficult feat for many. If you’ve been trying to quit smoking but haven’t quite succeeded yet, remember that along with your friends and family, your dentist is also cheering you on in your efforts to become tobacco-free. Most people are aware of the statistics, which reveal tobacco use can cause a number of serious health issues and significantly shorten one’s life expectancy. Yet, many are far less aware of the effects it has on oral health. Periodontal Disease—A serious form of gum disease that causes bleeding, discomfort, infection, and unwanted tooth loss. Tooth Discoloration—Stained, yellowed teeth communicate poor health and premature aging. A Compromised Immune System—This can hamper the success rate for procedures such as dental implants and a slower recovery period from a variety of other dental treatments. Losing Your Senses—Tobacco use results in bad breath, along with a reduced sense of taste and smell. Oral Cancer—The Oral Cancer Foundation reports oral and pharyngeal cancer will kill an average of one American per hour, 24 hours per day, every day of the year. Tobacco use increases your likelihood of developing this form of cancer. Check out some of these motivating tips and videos provided by the Centers for Disease Control and Prevention (CDC) to help you overcome your use of tobacco products. 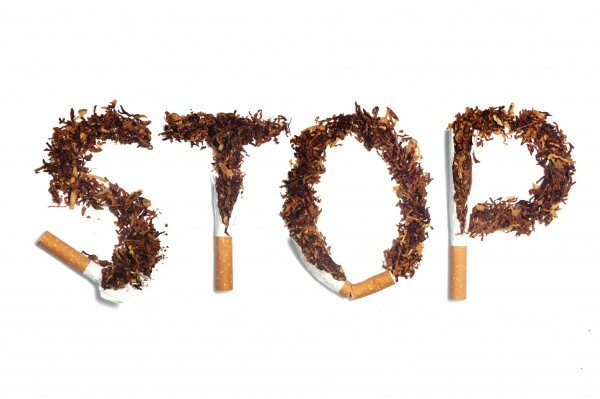 Make today the first day of successfully kicking your tobacco habit to the curb! It’s also a great time to contact your Visalia dentist, Dr. Bodensteiner to help restore any damage smoking may have caused to the health and vitality of your teeth and gums. A dazzling, healthy-looking smile is such a fantastic celebratory way to reward that new tobacco-free lifestyle! We want to know: Have you successfully overcome your tobacco habits? Please share some tips that helped you to finally break free from this powerful addiction.